Richmond Blacktop is a contract paving company providing professional paving services in Vancouver, BC and across the Lower Mainland. We pride ourselves in providing efficient and superior paving services to all our customers no matter the size of the job. 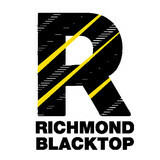 At Richmond Blacktop, we provide professional services along with high quality materials, well maintained equipment and a highly trained team to get your project done right. Joe has been creating beautiful outdoor spaces for the last 30 years and is highly praised by his customers. He is a leading developer of a new “Pebble Stone” formulation that is less expensive than most paving options, more durable and more beautiful than rubber paving, although Joe does this too. He is also Allen Block Certified, Offers Rubber Paving And is BBB A+ Rated. 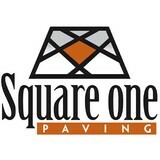 Saving your paving since 2009! For nearly a decade we have been helping our customers and the planet by paving with 100% recycled tire rubber. Tire rubber has fantastic properties! It creates a safe anti-slip surface, snow and ice does not stick to it in winter and it doesn't crack like your conventional paving. And did we mention you don't actually have to re-pave at all? That's right! We use 100% recycled tire rubber to refurbish an existing driveway, sidewalk, patio or a pool deck, without having to tear all that old cracked concrete or asphalt out! This which dramatically reduces time and cost of repaving! Need we say more? We have brought the technology developed in Saskatchewan all across Canada through our network of franchises. Our technology is backed by years of research and development. Our driveways are extremely durable and easy to maintain making them a cost efficient sustainable solution for your home. Plus, they don't freeze in winter so there will be no more nasty slips anymore! Oh, and did we mention they look beautiful? Well, they absolutely do. Look at pictures of our projects and you will see how well a gorgeous rubber driveway brings the whole property together! We have several color choices to best fit the character of your home. Boyd's custom concrete has over 18 years of concrete experience in decorative, residential, commercial, industrial, and insitutionial. Now focused on decorative and residential projects to spice up your home or business. 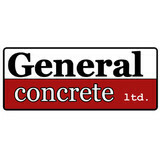 Every style of concrete finish for your home or business. From installation to repair, Delta, BC driveway contractors are responsible for a variety of planning, installation, construction and driveway maintenance services. Driveway materials. While most driveway contractors in Delta, BC primarily work with asphalt, they are also experts on the wide range of available driveway materials. If you are looking for something different than a standard asphalt driveway, your pro can help you select driveway pavers or customize a brick driveway design. A driveway installation and maintenance professional may work closely with a Delta, BC builder, landscape professional or various manufacturers and suppliers. Find a Delta, BC driveway installation and maintenance professional on Houzz. 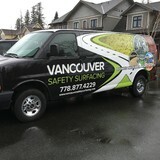 Narrow your search in the Professionals section of the website to Delta, BC driveway installation and maintenance. You may also look through Delta, BC photos to find examples of driveways that you like, then contact the professional or contractor who worked on them.